Luscious crystals draping your neck! 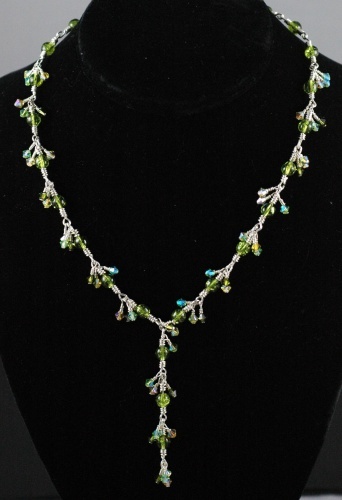 An elegant piece of Peridot and like colors, glitter like you cant imagine. Lengths 16 " 18" 20" 22"